Are you interested in science? Do you enjoy sports? Do you have a physically active life style? If so, an Exercise Physiology major could be the right choice for you. This eclectic, science-based field of study examines the effects of exercise and physical activity on the prevention of chronic diseases, improving physical and mental health & wellbeing, and optimizing sport performance. An undergraduate degree in Exercise Physiology can prepare you for a broad range of careers such as strength and conditioning specialist, health & fitness specialist or clinical exercise specialist. 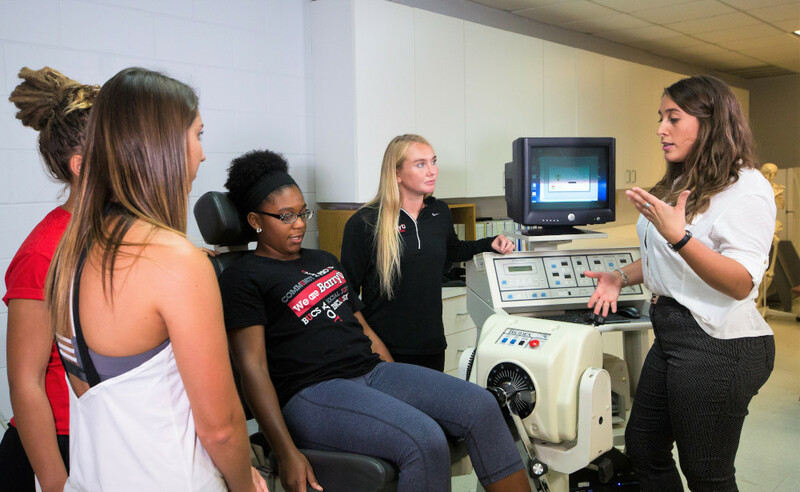 If Exercise Physiology sounds like the field for you, check out some of the unique advantages offered by Barry University's Exercise Physiology bachelor's program. You can also ask us a question online or schedule a visit to meet with faculty and current students.